Twin flame 11 11 is a unique number for twin flames. The number 11 is the Master number. When it is present two times, it’s significance enhances greatly. When number 11 has to play its part in your life, it will appear again and again and at unusual times. Mainly, it is the indicator that your twin flame is around and you will connect with them. Twin Flame 11 11 – What Does it Mean? Twin flame 11 11 appears when something significant is going to take place in your life. It is the signal of meaningful soul connection that is waiting for you around the corner. They could be present when you are already in a relationship and near an essential transitional point or energetic shift. The number 11:11 composed of the number 1 repeating four times. The number 1 is the symbol of oneness and singularity. It also means unison. When two ones come together, like number 11, it is the sign of two souls coming together to become one. When there are two 11’s in the complete number, it represents the polarity concept which is the main essence of the twin flame relationship. In a twin flame connection, both twins work as the opposite sides of the poles or one has the masculine energy and other has the feminine one. Presence of the number 11 side by side also represents the balance of the connection which is very important in a twin flame relationship, as both twins work to balance each other. Twin flame connection is present at the soul level; twins usually work as the mirror for one another. They not only reflect the bright light but darkness as well. The main reason for this image reflection is balancing the energies and maintaining harmony for each other. Twin flames are spiritual healers for each other. The double 11’s are also represents the unconscious and conscious mind. The unconscious mind brings many inconveniences and needs healing for the twin flame connection to work. All the healing energy not only opens new doors for the conscious mind, but it also leads to soul growth. 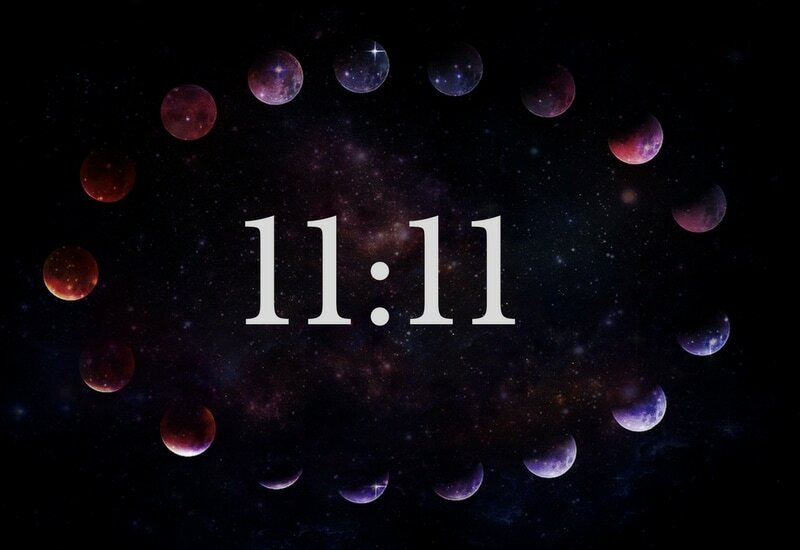 The number 11:11 is the symbol of the gateway present between physical and spiritual planes. When two twins come together, their hearts sync together and open a portal that lets them communicate on higher planes. When you begin seeing the number 11:11, it is vital that you are prepared for the significant changes and try to work on yourself. If you are in a relationship, it is highly important you are honest with your partner. You should work on self-love and self-acceptance to prepare yourself for the new life.